Stephen Patrick Kenny director of 'THE PIGMAN MURDERS' (a.k.a. 'Somebody's There') is back with another group of hapless victims trying their best to survive. In 'CAPTIVE' 12 strangers are held against their will as each of them must follow the rules and undertake certain tasks to get the cure to the virus they are all infected with. As each person wakes up from their drug induced state they blame each other for their captivity this is until a phone rings within the confines of the warehouse they are locked in. The man on the phone gives each a simple task to complete which naturally some decide that they will not partake in the barbaric act of killing someone for a cure. Matters are made worse by the fact that a clock is counting down, giving them only 24 hours to work together or die. Once the virus starts to transform a few of those held, the rest decide that they must do what they can to survive. 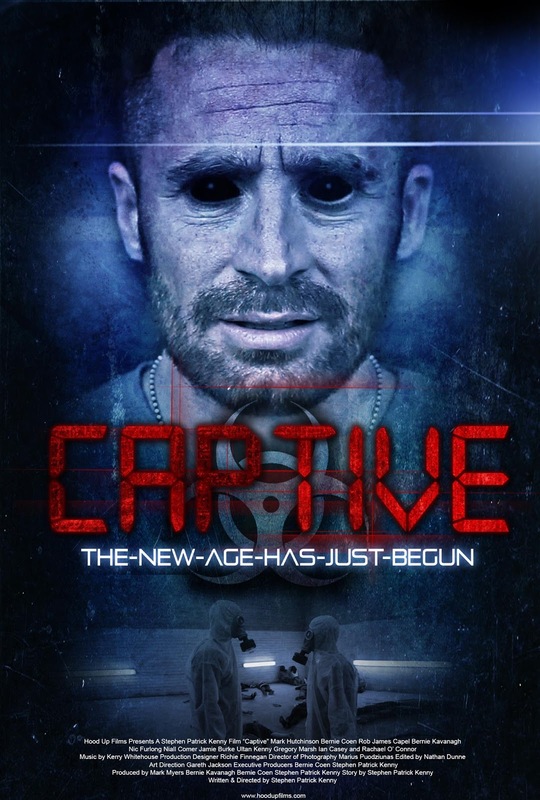 This Irish horror film was shot within 48 hours and at times you can certainly tell, but don't let that distract you as at times 'CAPTIVE' is tense and claustrophobic. Personally I didn't care for any of the characters apart from the lead character of Dean, so those who died were not missed at all. The films lighting is very dark and in certain scenes its hard to work out whats going on, but we can let this go after all they are in a poorly lit warehouse. The ending is great and leaves it open for possibly more virus fun. Overall I found this better then the directors previous effort 'THE PIGMAN MURDERS'.